From St Tropez to London, Vilebrequin in Burlington Arcade brings exceptional French swimwear to the mix of quality purveyors. 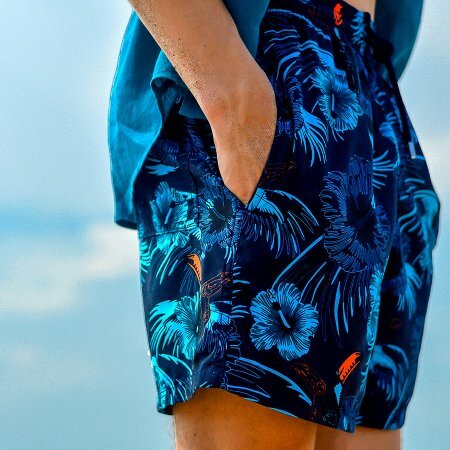 Founded in 1971 by a photographer and motor journalist, Fred Prysquel, he created his own perfect pair of swimming shorts based on the styles of the surfers he watched on the beach, which went against the current trends of the time. The style proved popular with the many boutiques on the St Tropez seafront and the brand, and their signature Moorea short style, was born. Today their range extends to men, women, and children, including a ready-to-wear line, all of which continues to reflect their heritage of colourful style and original prints, superbly made. New customers come for their great designs, but return customers come back for the practical features that make their swimwear a pleasure to wear. 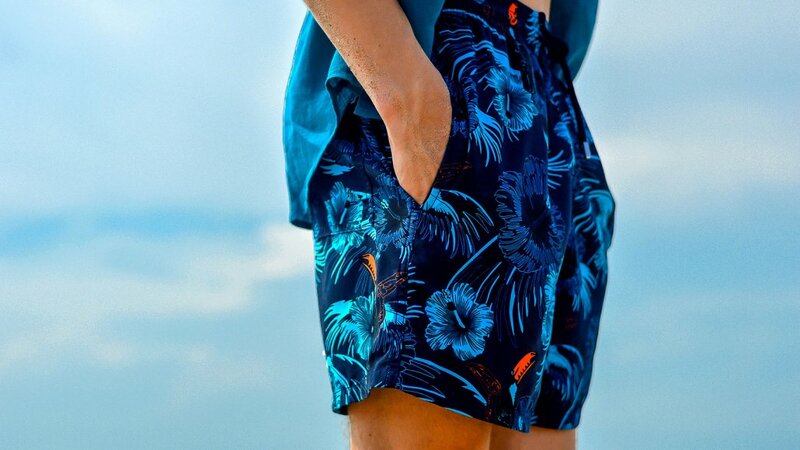 Every pair of swim shorts made has a slot at the bottom of the back pocket which helps to drain water, eyelet holes that prevent ‘ballooning’ when emerged in water, and comes with a water-resistant wallet that exactly fits the pocket. If you find the seamless inner brief becomes a little worn over time, just head into the store and they’ll have it replaced for you. A nylon carry bag comes with every purchase to help you care for it easily too. Family life is also important to Vilbrequin, as it is to their customers, so they created the ‘father and son’ and ‘mother and daughter’ collections. The range features exclusive prints that have matching counterparts in the children’s range to help you all have fun together and create lasting memories. The Burlington Arcade store, in an evocative white and azure blue colour scheme, has a distinctly Mediterranean vibe to get you in the holiday spirit, whether you’re looking for a new resort wardrobe or just some well-made weekend-wear. The collections are spread across two floors alongside photographs telling the story of the Vilebrequin brand.